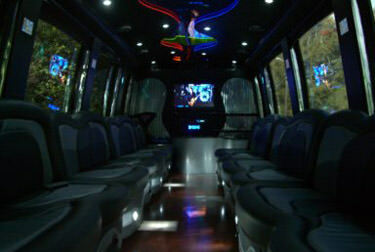 Miami Party Bus is the number one limousine company in South Florida. In a city as exciting as Miami, you need transportation to match, and that's what we offer! 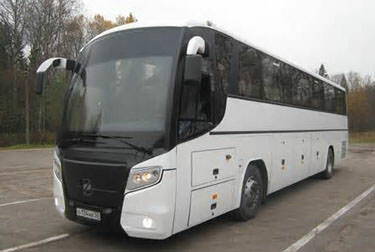 We are dedicated to offering excellent luxury transportation services at a value that everyone can afford. We offer affordable prices on luxury vehicles and offer those vehicles in a wide range of sizes to accommodate your group no matter how many guests you're expecting! Whether you need the ability to transport 18 people or 40 people, we have a vehicle for you and can give you the supreme service that you deserve. Our goal is to provide the very best in luxury transportation for all of our clients, no matter when or where they need it. We know that your celebration won't be confined by city limits so don't worry, we can take you just about anywhere! We operate 24 hours per day and our service area covers Miami-Dade County, Broward County, Monroe County, Collier County, Hendry County, Palm Beach County, and more. Our vehicles have all been custom designed and fitted with the finest features imaginable. When you step on board any of our buses you'll be blown away by the style and exciting features! You'll find super comfortable leather upholstered seats, vibrantly colored lighting effects, built in coolers, TVs, DVD players, CD players, aux ports for your phone, spacious aisles, dance poles, booming sound systems, and more! Bring your own beverages and get the party started as soon as you hit the road! If you're ready to get a quote or book a vehicle, just give us a call! It only takes a few minutes. When you call us, our customer service representatives will be ready to help you. They'll ask the questions that will allow you to give the proper information needed to order a Miami limousine or bus and you'll end up being guided through the process with out ever being lost or feeling out of control. If you have any questions regarding our service, our policies, or any questions about us that can't be answered on this website, be sure to check out our website located below or simply e-mail is at info@miamipartybus.com or call 954-282-9274. The interesting thing with our pricing is that we don't have any outrageous fees or tacked on prices. With our pricing, what you see is what you get and we stand by that. So whatever quote you get is what you will pay, out the door, with no questions asked. Do you have a birthday coming up? 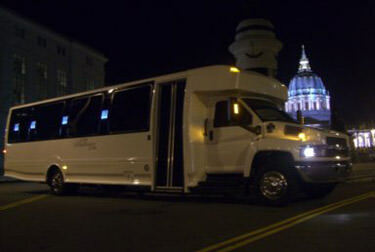 One great way to celebrate is to host your party on one of our gorgeous limos or buses! Don't settle for less than the best on your special day! We're your most reliable choice for wedding limos in South Florida. Go see your favorite band when they come to town and go to the show in style! We'll give you the rock star treatment! 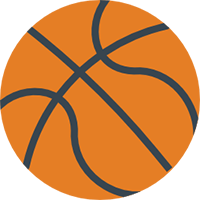 Whether it's the Heat, the Dolphins, the Hurricanes, or the Red Hawks, we can take you to cheer on your team! When you hit the town, it's important to have a designated driver, and even better to have one that drives a limo! For bachelorette parties or just a girls' night out, you can't beat hitting the town with a fun limo or limo bus! If you're planning a night out at the theater, consider treating yourself and adding a limo to the evening's plan! Visit local attractions like Grapeland Water Park or trek out to Orlando - whatever you want to do, we'll take you. Walt Disney World is a bit of a drive, which is all the more reason to plan for comfortable travel! Let us drive! Are you planning to visit the Kennedy Space Center? Another long drive that you'll want our comfy limos for! There's a lot to see, so you'll want to relax while you take it all in. Our vehicles are perfect for kicking back! Don't see your intended event listed? No worries, you can call us for absolutely any type of celebration!